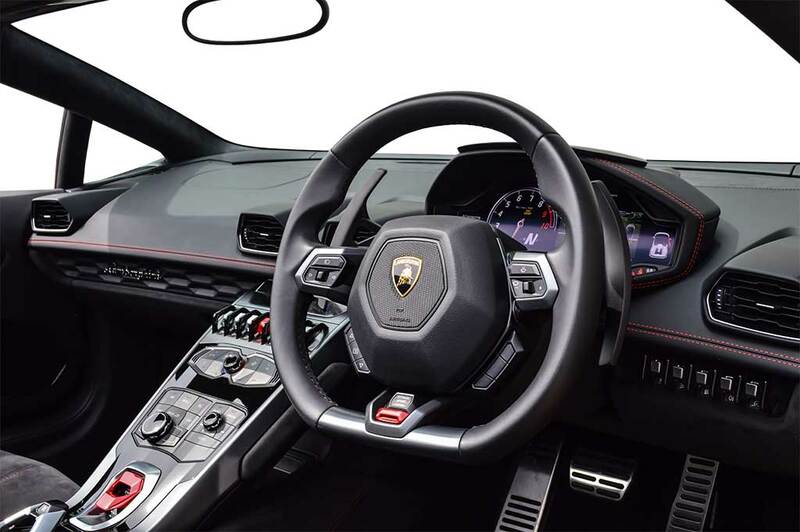 The Lamborghini Huracan Spyder is a modern masterpiece. 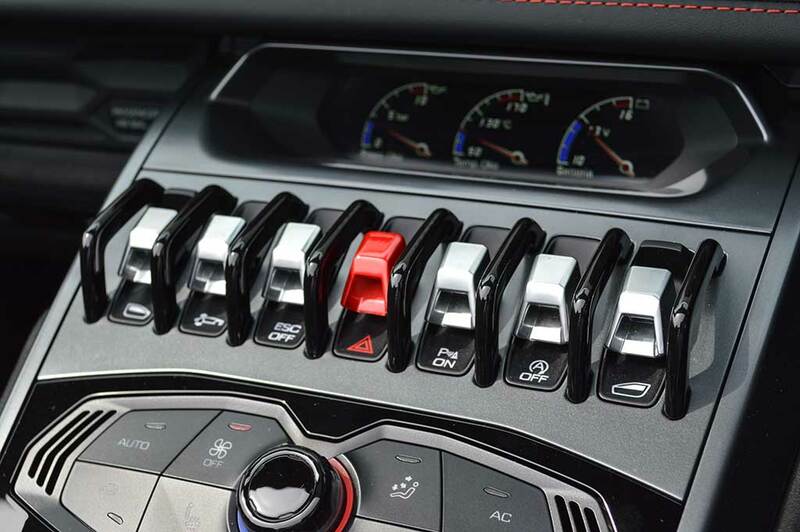 Choose the Lamborghini Huracan hire car for an unforgettable driving experience. The modern masterpiece is available with unlimited mileage and delivery throughout the UK. Fresh off the production line from the esteemed Italian auto-manufacturer, the 580-2 Spyder hire is the latest in the Huracan lineage. A successor in every way to the Gallardo, the Lamborghini Huracan Spyder rental packs a monstrous V10 engine, making for a ridiculously fast drive, with a thunderous sound guaranteed to make a statement whatever the occasion. The Lamborghini Huracan hire is capable of 602bhp with power distributed via the all-wheel drive system, and can reach a top speed of 201mph. 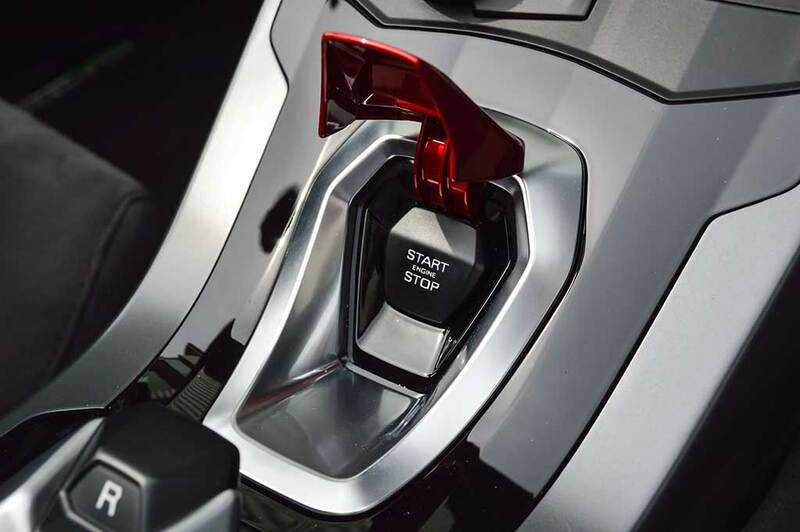 It is quite simply one of the most exhilarating supercar hires available today. 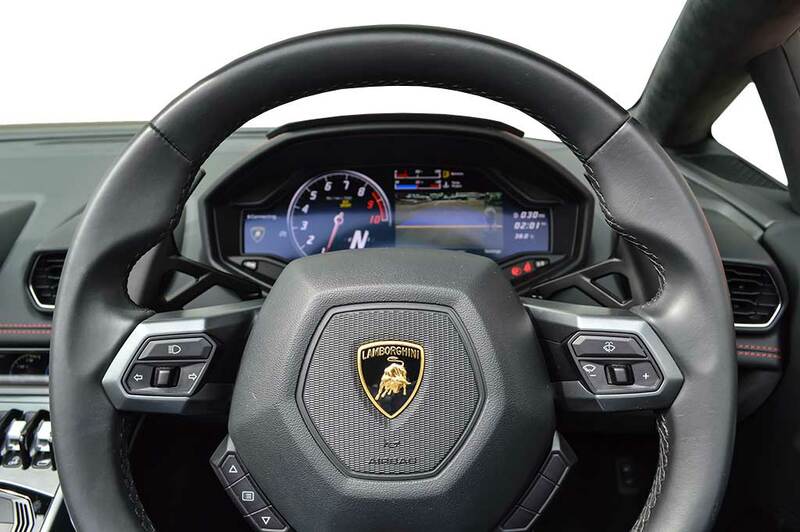 The innovative triple-layer top of the Spyder hire folds back in an impressive 17 seconds at speeds of up to 31mph, and within the futuristic cabin there are a plethora of switches and space-age buttons to give the Huracan the feeling you're about to take off into space. 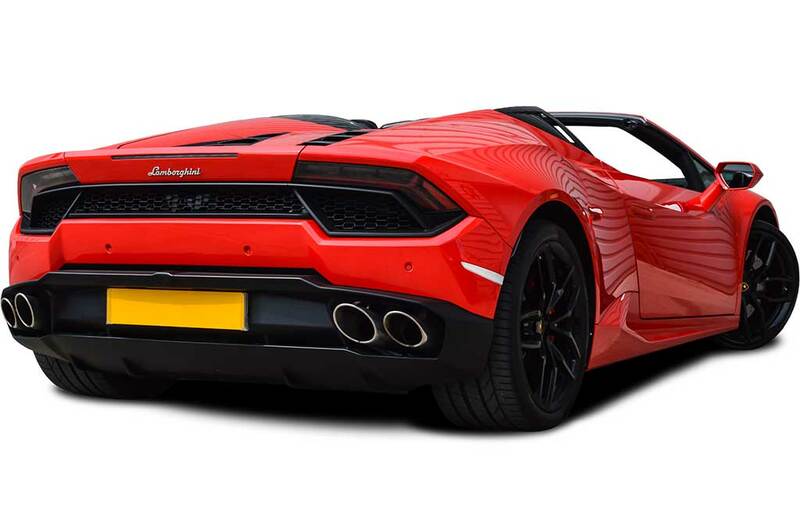 Hire the Lamborghini Huracan Spyder, which is a true high performance vehicle, now available to rent from Prestige Car Hire. 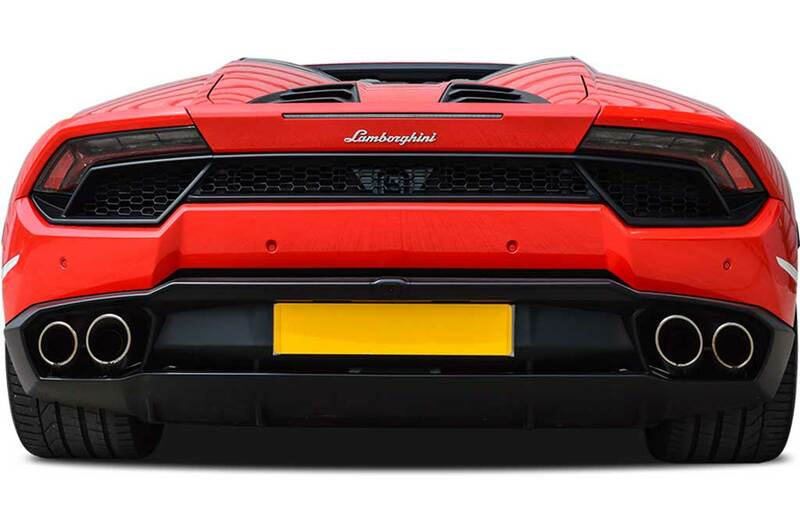 We offer unlimited mileage and UK wide delivery on this supercar hire. 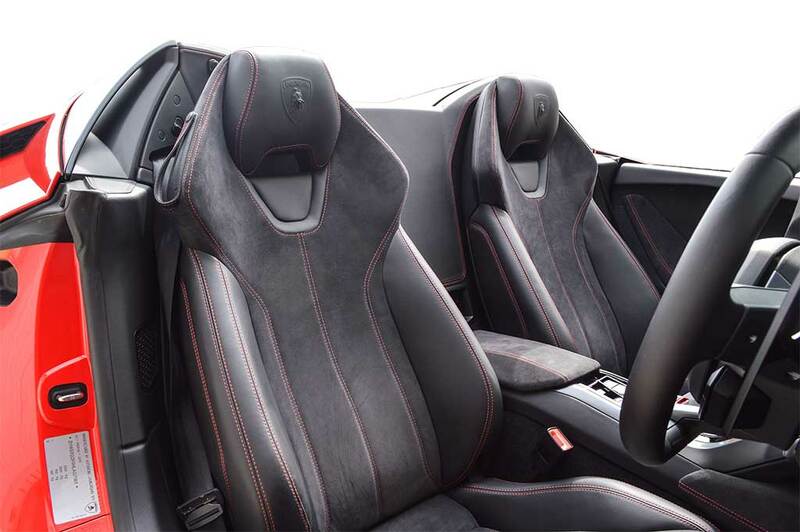 Rent a Lamborghini Huracan from Prestige Car Hire TODAY! 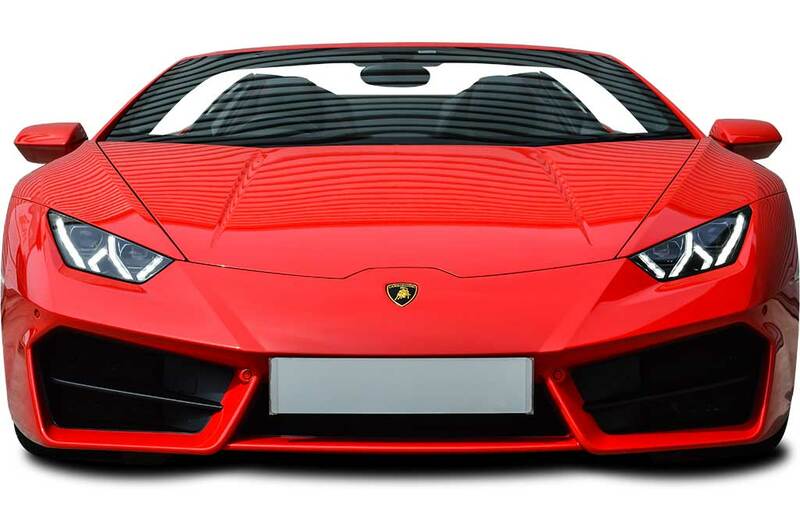 We've found these cars with a similar 0-62mph time to the Lamborghini Huracan 580-2 Spyder.